Didn’t mean to do two Beyonce mashups in a row – it’s just how it turned out. For anyone who didn’t know, I managed in win the MashStix Mashup Challenge II, so many many thanks to anyone who voted for me! Much appreciated! Check out the winning ‘War and Confusion’ mash further down my Blog. For now, just wanted to do a fun little mash post comp, so thought Beyonce and The Beatles matched well together. Hope you like. Comments and feedback welcome. Cheers. 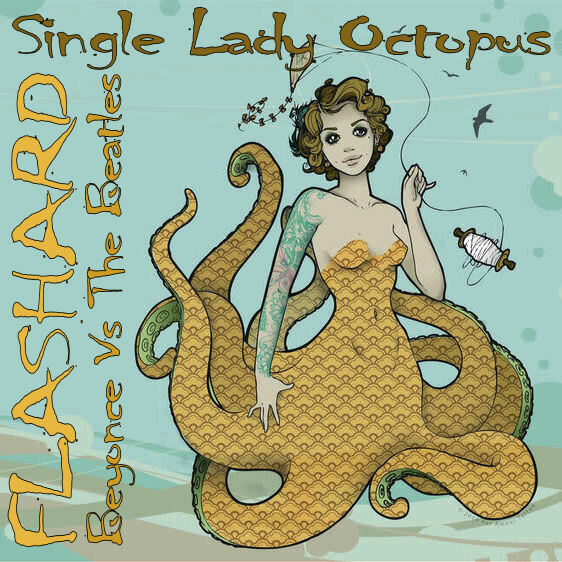 DJ Flashard – Beyonce vs The Beatles – Single Lady Octopus. Mixed using Beyonce – Single Ladies (Acapella) and The Beatles – Octopus’s Garden (Instrumental).